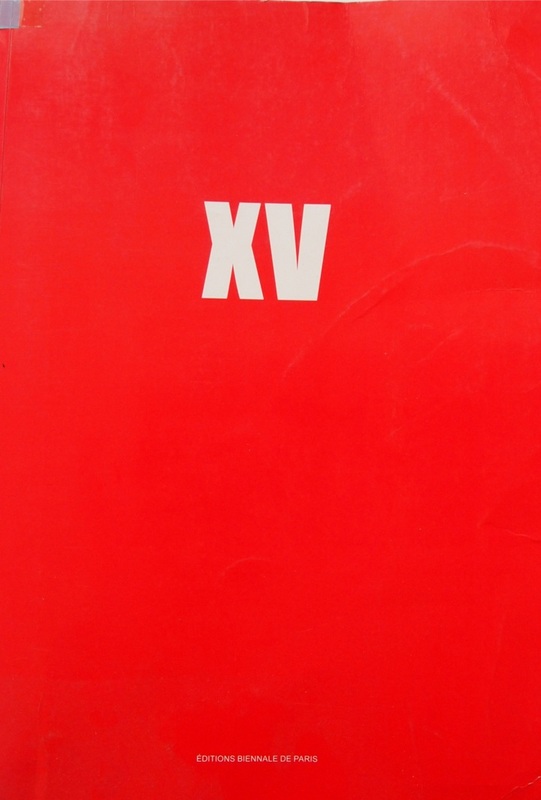 Cover of XV BIENNALE DE PARIS, Quinzième Édition (15th Edition), 2007. The report presented in exhibition consists of one copy of XV BIENNALE DE PARIS, published in 2007 and loaned to the Museum of Modern Art for the duration of the exhibition. Courtesy Stephen Wright.